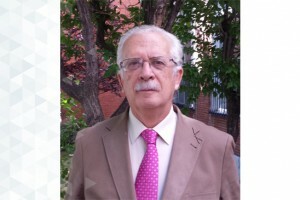 Rafael Aracil received the degree in electrical engineering in 1971 and the Ph.D degree in engineering in 1975, both from the Escuela Tecnica Superior de Ingenieros Industriales, Madrid, Spain. Currently, he is a Full Professor and Head of the Group of Robots and Intelligent Machines, at Universidad Politécnica de Madrid, Escuela Tecnica Superior de Ingenieros Industriales, Madrid, Spain. His main activities have been in the area of advanced manufacturing, robotics, and image processing. He is a Member of the IEEE. A remote handling rate-position controller for telemanipulating in a large workspace. Fusion Engineering and Design. Vol.89. Number. 1. Pages: 25 - 28. A taxonomy for heavy-duty telemanipulation tasks using elemental actions. International Journal of Advanced Robotic Systems. Vol.10. Number. null. Bilateral control by state convergence based on transparency for systems with time delay. Robotics and Autonomous Systems. Vol.61. Number. 2. Pages: 86 - 94. Modular robot system for maintenance tasks in large scientific facilities. International Journal of Advanced Robotic Systems. Vol.10. Remote laboratories for education and research purposes in automatic control systems. IEEE Transactions on Industrial Informatics. Vol.9. Pages: 547 - 556. A heterogeneous modular robotic design for fast response to a diversity of tasks. Robotics and Autonomous Systems. Vol.60. Pages: 522 - 531. Design of a lightweight, cost effective thimble-like sensor for haptic applications based on contact force sensors. Sensors. Vol.11. Pages: 11495 - 11509. Adaptive Bilateral Control Systems through State Convergence in Teleoperation. Application of Distance Laboratory System in Subjects of Automatic Control. RIAI - Revista Iberoamericana de Automatica e Informatica Industrial. Vol.7. Number. 1. Pages: 321 - 329. Service Robots | Robots de servicio. RIAI - Revista Iberoamericana de Automatica e Informatica Industrial. Vol.5. Pages: 6 - 13. Time domain passivity control for delayed teleoperation. Diseño y Control de robots Modulares Autoconfigurables para entornos semiestructurados. Análisis de tareas de manipulación virtual basadas en modelos reducidos de la mano humana.